IKEA wants to make sure its business growth is sustainable by using resources efficiently and investing in renewable energy. Specifically, IKEA wants to produce renewable energy equivalent to at least 70% of its energy consumption by August 2015 and, by August 2020, it wants to generate as much renewable energy as it consume for all of its global operations. So far, IKEA’s operations in Canada and in the Nordic countries (Sweden, Norway, Finland and Demark) are energy independent, while its operations in Poland and the US are following closely behind, meaning IKEA is right on track to meet its 2020 renewable energy target. IKEA Group plans to meet its goal of energy independence by investing €1.5 billion in renewable energy projects by 2015, which also funds a majority of its offsite wind turbines. Whenever possible, IKEA uses the energy produced by wind turbines to power its buildings, but in most cases, the energy is sold to the grid due to national restrictions that differ in each country, which prevents IKEA from using the direct energy it produces. However, by producing renewable energy, it indirectly contributes to more availability of wind power by helping to increase demand and competitiveness of the market. To reach its goal of energy independence, IKEA has purchased the Hoopestan wind farm in the US, which is projected to generate 380 GWh of renewable energy per year – equivalent to 165% of the electricity consumed by all of IKEA USA each year. IKEA has also invested in six wind farms in Poland, which are projected to generate an equivalent of the electricity needed to power 225,000 average Polish households, or a reduction of 449,000 tons of CO2 emissions. In 2014, it also invested in a wind farm in Sweden, which produces enough electricity to power 16,000 Swedish homes, as well as a wind farm in Alberta, Canada, which generates more than twice the total energy used by IKEA Canada. Today, IKEA owns and operates 46 wind turbines in Sweden and an additional turbine in Denmark, which produces an estimate of 361 GWh of renewable energy in the Nordic countries each year. On top of purchasing wind farms, IKEA Group and IKEA Foundation have invested €1bn in total to accelerate towards a low-carbon economy. Specifically, IKEA Group invested €600 million into renewable energy with €500 million of that investment going directly towards funding wind power. The other €400 million donated by the IKEA Foundation will be used to support communities who have been impacted by climate change. By being more energy efficient and producing its own renewable energy, IKEA is able to reduce costs and become more resilient by protecting itself against fluctuating energy prices. 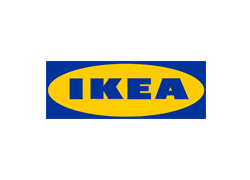 IKEA Group is a leader in sustainability with its ambitious goal of generating as much energy as it consumes by 2020. With a strong investment in wind energy, IKEA is not only cutting its costs and becoming more efficient but is also fighting against climate change and towards a more positive environment for the future. “We are committed to renewable energy and to running our business in a way that minimizes our carbon emissions, not only because of the environmental impact, but also because it makes good financial sense,” Chief Financial Officer Rob Olson said.